This chapter explained everything we need to know about judging photographs. Is it good or bad to judge someone else's work? I really liked how this chapter started off by stating the definitions of judgement and interpretation. I think many photographers or critics interchange these words. they are very closely related but they should not be interchangeable. A critics interpretation of an image can effect their judgement. The chapter explains every type of judgement. I didn't know you could even judge a photo in so many ways. I have always thought of "judging" to be more of a negative term but the first type of judgement that is explained in this chapter is "positive judgement. This was interesting to me. The other types of judgement that were explained was negative, implied, opposing, and comparative. Each type of judgment was very different. This was very helpful to read before critiques this week because when looking at others work it is good to know how to interpret an image in so many different ways. Then is goes on to talk about common theories of art that you should be thinking about when you evaluate a photograph. Realism, which is one of the oldest theories of art was the first theory that was explained. Then he talked about expressionism, formalism, and instrumentalism. Some other ways to judge a photograph is by the originality and thought process that goes into the work. 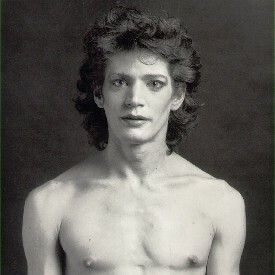 I really liked Robert Mapplethorpes photographs. I am sure many people judge these photographs very differently. But I really enjoy looking at his work. I feel like it tells a story. His self portrait is amazing and can bring a lot to the table when trying to analyze and evaluate the photograph.